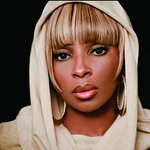 Singer Mary J. Blige is one of three celebrities to design watches to raise money for Chrysalis. The 37-year-old R&B artist has joined with Eric Dane and Russell Simmons to design limited edition Ernst Benz Chronoscope watches to support the work of the non-profit organization devoted to assisting individuals escape homelessness and poverty. The timepieces are part of a collection entitled “Time for Change”. Only 24 numbered watches will be made of each design, and will be available exclusively at Saks Fifth Avenue with 50% of the sale from each watch going to Chrysalis. In addition, one watch from each series will be auctioned online, with 100% of these proceeds going to the organization.